ELODIE was decommissioned in mid-August 2006, after more than 12 years of observations. The ELODIE archive now also incorporates spectra with signal-to-noise ratios between 3 and 10. As of 15 August 2006, the total number of spectra in the archive is 34286, of which 17676 are public. The number of distinct identifiers is 7476, of which 6173 are public. The total number of spectra with measured radial velocities is 25341, of which 11037 are public and, of these, 4868 have distinct identifiers. Elodie is a cross-dispersed échelle spectrograph which saw first light at the OHP 1.93-m on 1 June 1993. The instrument was open to visiting observers on 1 August 1994. A publication (HTML version) describes the main characteristics of the instrument, the on-line data reduction pipeline and discusses its capabilities (see also the published paper: Baranne et al. 1996 A&A Suppl.Ser. 119, 373). A dedicated web page presents the basic operation of the spectrograph at the telescope and also the user's guide for the on-line data reduction and the input catalog. All spectra taken with Elodie have been systematically copied to DAT tapes (1993-1995) and later to CD-ROMs (October 1995 to present) but general access to this data, after expiration of the proprietary period of 2 years, has been cumbersome until now. The present archive aims to improve this situation. The Elodie archive is a joint effort by Jihane Moultaka (Köln Univ. and LUTH, Paris Obs. ), Philippe Prugniel (CRAL, Lyon Obs. ), Caroline Soubiran (Bordeaux Obs. ), Sergio Ilovaisky (OHP) and Mina Koleva (Sofia Univ.). It now holds a large fraction of the spectra obtained with the Elodie spectrograph, and will eventually contain all of it. 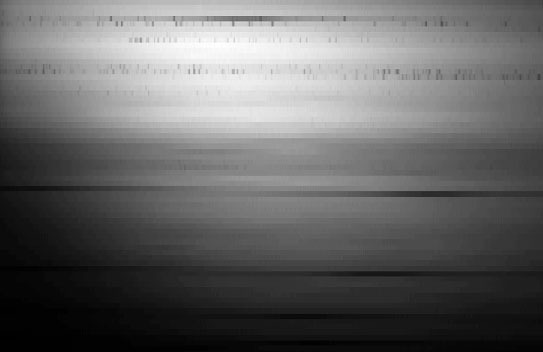 As of 15 Jan 2006 the archive holds approximately 30600 spectra with signal-to-noise greater than 10 in V (5500 Å), one-half of which are public. Data with S/N < 10 (about 2700 spectra) will be made available later. The original data are reprocessed on the fly upon each request, mainly to correct for incomplete removal of the instrumental signature. Even though users have no access to the original raw data or to most results from the on-line reduction, the present page gives the background information needed to better understand and use the re-processed data retrieved from the archive. 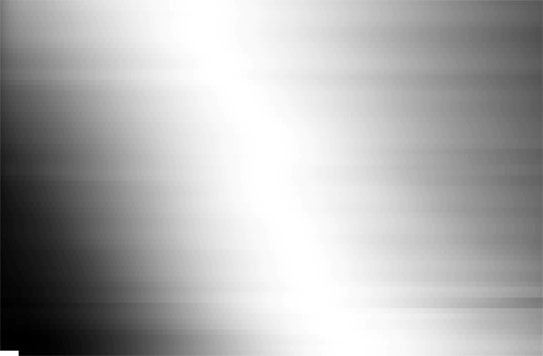 CCD frame for the spectrum of Altair obtained on 1998 July 02 in 120 seconds. The S/N ratio is 206 at 5500 Å. The red end is at the top. 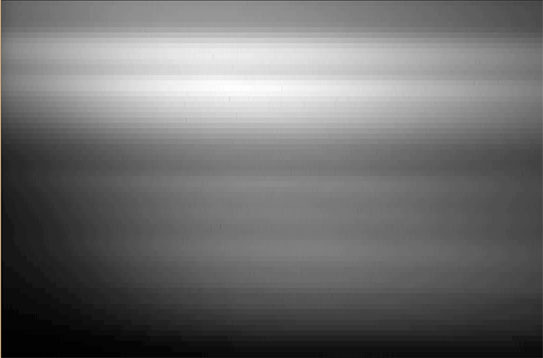 CCD frame for the spectrum of 51 Pegasi obtained on 1994 October 29 in 600 seconds. The S/N ratio is 161. Notice the interleaved Th-Ar comparison spectrum exposed simultaneously. CCD frame for the spectrum of the Thorium wavelength calibration lamp. The strongest lines are due to Argon impurities in the lamp. There are two entrance apertures in the focal plane, each 2 arc-sec wide. One is used for the star and the other for either the sky, for the tungsten lamp or for the thorium lamp. The imatype keyword describes the focal plane configuration used for the observations. The Elodie bonnette at the Cassegrain focus of the 1.93-m telescope houses two different twin-optical fiber sets which are used to transfer light to the spectrograph. One set called 'direct' uses simple fibers and the other, called 'scrambled', includes optical scramblers in the path for improved radial velocity stability. For each set, one fiber is reserved for the object spectrum and the other for either the sky spectrum or the Thorium spectrum, but it can be also be blocked. Small part of the raw image for the three different types of stellar exposure available. a "star fiber only", b star fiber and sky fibre simultaneously illuminated (here by the tungsten lamp), c "simultaneous thorium": star on the star hole and the sky hole simultaneously illuminated by the thorium lamp. Prior to 1997, only one set of fibers (the 'direct' set) was available, and thus only OBJO, OBJ2 and OBTH are found. Users should note that for image types OBTH, OBTHs and OBTHd the presence of the Thorium-Argon orders interleaved with the stellar orders may lead to pollution of the stellar spectrum by highly saturated Argon lines which can bleed into the adjacent stellar orders. Standard calibration at the beginning of the night included : bias, continuum lamp (tungsten lamp) and thorium lamp frames. The continuum lamp frames have been automatically analyzed to derive the location of the 67 orders and to extract both the spectrum of the flat field and the blaze function. The thorium lamp images have been automatically analyzed to derive the wavelength calibration, which is expressed in terms of Tchebycheff polynomials. The data reduction process which immediately followed data acquisition involved subtraction of bias, dark or scattered light, optimal extraction of the data along the orders (using Horne's algorithm), with cosmic-ray rejection, division by the spectrum of the flat-field and by the blaze function (both normalized to unity in each order), followed by wavelength calibration. s2d image for the smoothed spectrum of the continuum lamp after removal of the small-scale structure (the spectrum of the flat field -see below-) by fitting a smooth spline to each order. s2d image for the spectrum of the flat field derived, as explained above, from the continuum lamp exposure. These are the residuals from the spline fit. The features shown correspond to differences in sensitivity across the CCD chip. s2d image for the blaze function. It was derived from the continuum lamp exposure (top image in this panel) by normalizing each order to unity at maximum. s2d image for the observation of the star Altair shown in the previous panel. The broad Hydrogen lines are clearly visible, particularly Ha close to the top. The narrow lines in the upper part of the image are due to water vapor in the Earth's atmosphere. The final step in the data reduction at the telescope was to rebin the pixel spectra into equal wavelength steps. This resulted in 67 spectra in FITS format for a single observation, called the s2dr spectra. In an early version of the spectrograph software, a second-order flat-field correction was applied, correcting for pixel-to-pixel changes in sensitivity perpendicular to the dispersion, which yielded the s2drff spectra. This option did not improve the quality of the data for S/N ratios lower than 300, and was not made available after the first five years. An example of a single s2dr spectrum. A plot for order 64 in the spectrum of Altair which contains the broad Ha absorption line. The narrow absorption lines are due to water vapor in the Earth's atmosphere, which are masked in the data products delivered. 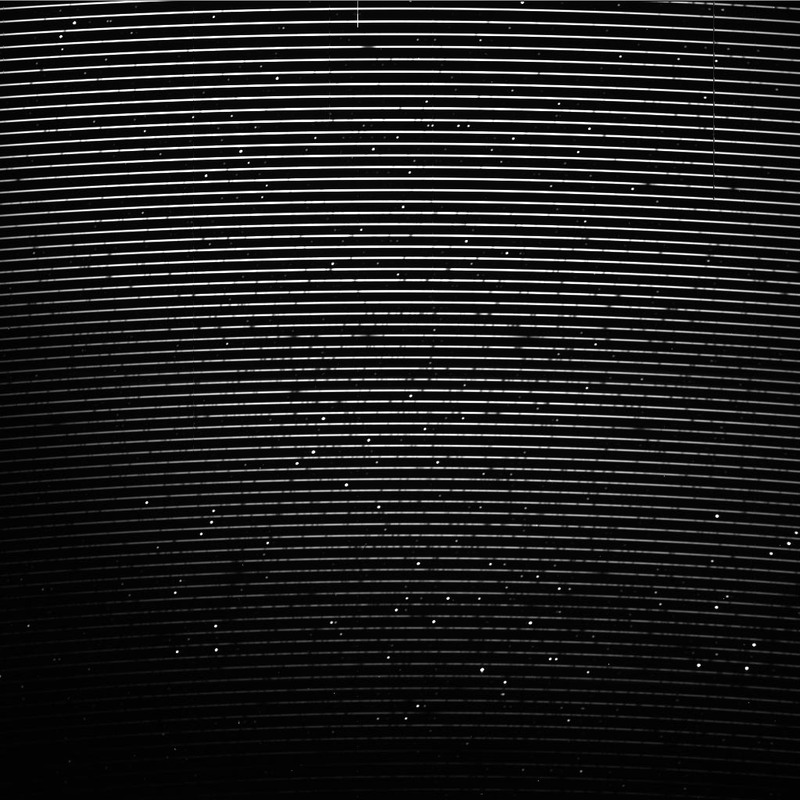 Several s2dr spectra of the Altair observation are plotted together here, from 4500 to 6800 Å. Note the sawtooth-shape of the continuum, due to incomplete removal the blaze function, which did not allow reconnection of the orders. This effect has now been corrected for in the spectra available through the archive, as explained below. The incomplete removal of the blaze function responsible for the sawtooth-shape of the continuum in the standard on-line reduction spectra is due to the fact that in the original blaze function all orders were normalized to unity at maximum. A procedure has been implemented in the archive software which corrects for this effect. It reconstructs an "improved blaze function" from the old one by computing the ratio between the smoothed spectrum of the continuum lamp and the old blaze function, order by order, and multiplying the old blaze function by this ratio, again order by order, and normalizing the resulting new s2d image to unity at order 41. 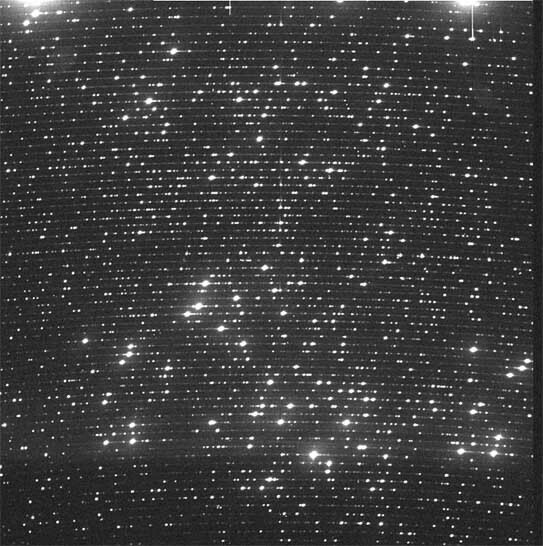 When the original s2d image is divided by this "improved blaze function", the resulting instrumental intensity distribution (related to collected electrons) is relative to the continuum lamp (Teff~2700 K) and is thus "too blue" for the actual spectrum of the star, but the sawtooth artifacts have disappeared. An additional correction is made in the reconnected spectra for the incomplete removal of diffuse light. spec: A single reconnected spectrum resampled in wavelength with a constant step of 0.05 Å, covering the range 4000-6800 Å (the first 3 blue orders are not included as the S/N ratio is usually very low). It is available as (1) "instrumental flux" (units related to observed quantities) and (2) normalized to the continuum, in a simple manner. Other resampling options are available. The reconnected spectra are in the topocentric reference frame ("as observed", not corrected for the Earth's motion in the line of sight). 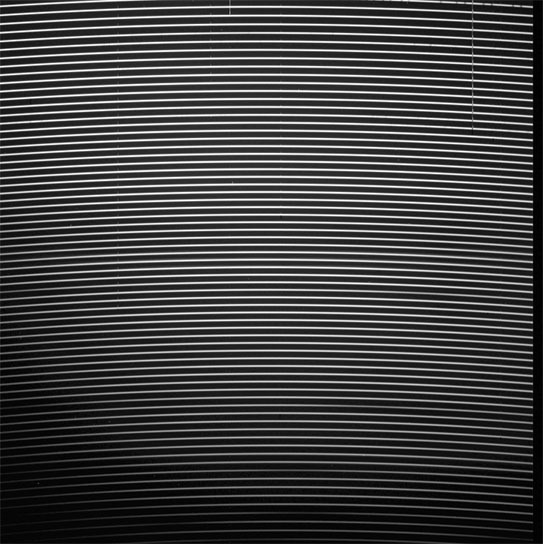 "new" s2d: A new image of 67 lines of 1024 pixels holding the extracted spectra for all orders (covering the full spectral range), corrected for the blaze problem (i.e. reconnectable), where each pixel is assigned a wavelength (the coefficients are given in the FITS header). The advantage of a spectrum in the s2d format is that the original (variable) spectral sampling is preserved across the entire wavelength interval, as no rebinning has taken place, but special software is needed to use it. Please note that these "new" s2d spectra are different from the "old" s2d spectra customarily delivered to observers. The reconnected spectrum of Altair after correction for the incomplete removal of the instrumental signature. The intensity distribution is artificially too blue as explained above. A version of the spectrum shown above which has been normalized to the continuum. This normalization is only approximate and thus not suitable for detailed spectral analysis, such as equivalent width determinations. 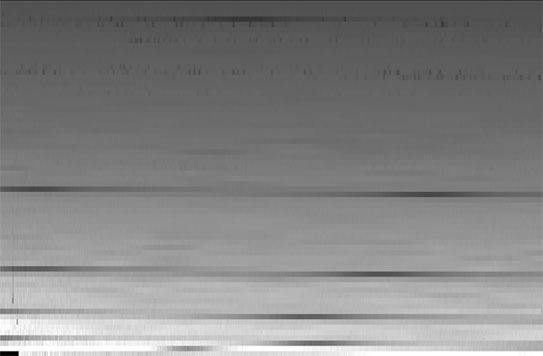 "new" s2d image showing the spectrum of Altair after applying the blaze correction described above. The instrumental intensity distribution is now relative to that of the continuum lamp. Note that the telluric lines which can be masked (as an option) in the resampled and reconnected spectra are always present in the s2d spectra. In December 2005 we released the on-line radial velocity results calculated at the telescope. These were obtained from numerical cross-correlations with a spectral mask file (made of 'holes' corresponding to more than 3000 selected weak neutral metallic lines). Two such masks are normally used, R37000F0 and R37000K0, for F0 and K0 spectral types, prepared for a slightly broadened spectral resolving power of 37000. Other (private) masks are also used, in particular one useful for A-type stars (prive4, with fewer lines) and another for M-type stars (prive1). If available, the results are displayed through the "correlation" button in the page with the query results. The CCF is also available as a FITS file. This numerical cross-correlation, an optional part of the on-line data processing at the telescope, can yield very accurate radial velocities, even for low S/N spectra, from a single gaussian fit to the cross-correlation profile (or double fit in the case of spectroscopic binaries). Please note that not all spectra have been processed in this manner. The velocities derived are referred to the barycenter of the Solar System. In addition, the 'sigma' of the gaussian and the depth of the profile are also given. Note that the FWHM of the profile is given by 2.354 times 'sigma'. The CCF is computed over a velocity interval selected by the user (normal, large, extra-large). The normal step is 2 km/s over a ± 60 km/s interval centered on a value given by the user. If available, the accuracy of the radial velocity depends on several factors: spectral type, the S/N ratio in the continuum, the rotational broadening of the lines and the depth of the cross-correlation profile (contrast of the absorption lines). The ultimate accuracy is obtained when using the simultaneous Thorium exposure mode and the scrambled fibers, in which case it can reach ± 7 km/s. A set of radial-velocity standard stars have been measured regularly to monitor the stability of the system. When doing a cross-correlation on objects observed with the sky in the second fiber (imatyp OBJ2), presumably in a moonlit sky, the profile has been corrected for the effects of the sky contamination, as derived from a prior cross-correlation on the sky spectrum. As of 1 Jan 2006, there are approximately 22950 spectra with a radial velocity measurement, of which 9040 are public and 3700 of these have distinct identifiers. Approximately 13900 spectra are still under embargo, with 2220 distinct identifiers. 7540 spectra have no radial velocity measurement. It should be mentioned here that the cross-correlation function can also yield information on temperature and metallicity (from the surface under the curve) and rotational velocity (from its width). See Queloz et al. (1998) and Santos et al. (2002) for more information. Reprocessing of ELODIE spectra using software developped for the HARPS spectrograph has been undertaken by the Geneva group. This should correct for small effects in the radial velocities due to changes introduced in the subsequent versions of the extraction and cross-correlation software used at the telescope. The name 51 Peg is not recognized in ELODIE archive but its position J225728.0+204608 was found in Simbad. We found 145 spectra of objects within one arcmin from this position. 15 of them are public. Let's see what all this means. We first learn that the name 51 Peg is not already indexed in the archive as a star name, so that we had to ask Simbad for the coordinates of that star. Next we see that in the archive there are 120 spectra of objects lying within one arc-min of this position. Presumably they are all of 51 Peg! Finally, we see that 11 of these spectra are public, so we conclude that the rest have been taken by observers who requested that their data be protected. On the next lines we see that the star is called HD217014 (the hyperlink gets you back to the main archive page) and what its 2000 coordinates are (don't worry that they don't match exactly those listed above). The S link opens a new navigator window with the Simbad page for that object. Next we see that this spectrum was taken on 15 October 1997 and that it was the 14th spectrum taken on that night. Clicking on any one of the buttons to the right allow you to explore the spectrum further. The header button lists the FITS file header of the s2d file with plenty of useful technical information about that observation, such as observer name, exposure time, signal-to-noise ratio, etc. The spec button lets you download a FITS file (you may have to give it a meaningful name --see Tips) with the reconnected spectrum in "instrumental flux" (i.e. divided by the smoothed spectrum of the tungsten calibration lamp), rebinned using a constant 0.05 Å step and covering the interval 4000-6800 Å. The s2d button lets you download a FITS file (you may have to give it a meaningful name --see Tips) with a 67x1024 image containing the fully reduced extracted orders (non-rebinned, non-reconnected), which preserves the original (variable) spectral sampling. The wavelength dispersion coefficients are given in the header. A more user-friendly format will be made available in the next version of the archive software. The customize button displays a new page where you can specify in more detail how you want your data (but see the warning below). In particular, in the "Pipeline processing" section, you can plot and request the spectrum with the continuum normalized to unity. Select the Continuum normalized flux option in the drop-down menu called "Flux Calibration". THEN click the Flux Calibration button. Select Continuum normalized flux in the drop-down menu called "Flux Calibration". Please enter the Elodie archive and enjoy it ! The archive now contains more than 30000 spectra (half of them are public), for 6600 distinct object designations. Since at the present time most designations are those originally given by the observer, a given object may still appear under several different aliases (e.g. HD 116656 and HIP 65378). A cross-identification effort to remove these aliases is presently underway. You should also be aware that, in spite of our efforts, incorrect object identifiers and/or catalogue coordinates (as well as poor telescope coordinates) are still present in the archive, thereby leading to query results that may puzzle you. We will try to remedy this situation as soon as possible. The downloading of FITS files from the archive has now been improved. With very few exceptions, most recent browsers (including Netscape, Mozilla and Internet Explorer) will now display a dialog box prompting you to save the downloaded file with the generic name file.fits. Please change it to reflect the star's actual name and/or spectrum number. The FITS format used in the resampled and reconnected spectra obtained from the archive has three extensions. The FITS format files for the s2d spectra have two extensions. Please make sure that the software you use to read the files handles these extensions. (See the help files for MIDAS and IRAF). Within MIDAS it is suggested to convert the FITS file into a table file (use COPY/IT) for easier handling. See also the on-line help file for the "Download" function in the archive. Parts of the spectra containing telluric absorption lines or uncorrected CCD defects have been masked and replaced by IEEE undefined values, or NaN (Not-a-Number). Be aware that some old FITS readers may not handle them intelligently and that you may have to replace them by regular values, for example zeros. WARNING: at the present time any rebinning and/or extraction done in the "customize" page will result in an undesirable interpolation over the zones containing NaNs. 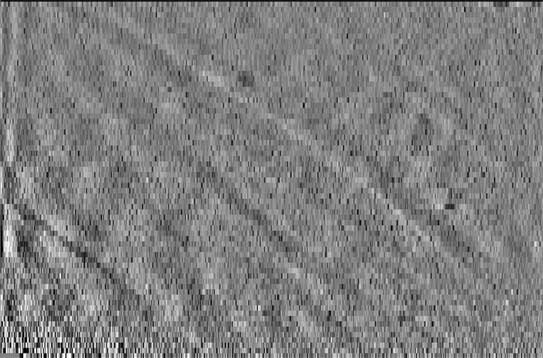 This is not normally a problem when downsampling to a lower resolution (say R<4000), but doing so with a step close to the original sampling (0.05 Å) will result in artificial data in zones where telluric lines and/or uncorrected CCD defects are present. Please do all zooming in the "view spectrum" page. There is an option available in the "customize" page to mask/unmask any telluric lines in the spectrum before visualization or downloading. Note that masking is now de-selected as the default. Elodie is a spectrograph specially designed for very accurate (± 7 m/s) measurements of stellar radial velocities, when used in scrambled fiber mode and with a simultaneous Thorium exposure in the second (sky) channel. The results for the radial velocities of the stars in the archive are now available. The spectra available through the archive are in the topocentric reference frame, i.e. "as observed". They have not been corrected for the radial velocity of the star nor for the Earth's velocity around the Sun as projected in the line of sight to the star (the barycentric correction). These corrections will be made available in the future. Data taken with OHP instrumentation are the property of Observatoire de Haute-Provence (CNRS). Observers are currently granted exclusive rights to their data for two years, after which time they become available to the astronomical community. Some observers who are engaged in log-term projects (i.e. search for extrasolar planets) have requested that their data be protected for a longer period. Their data are thus presently "embargoed", but will eventually will be available.